Installing the right Heat tape system to your home can be crucial to prevent ice dams when weather gets below freezing. 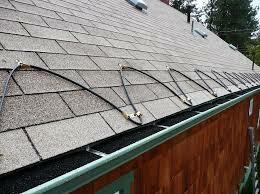 Bruce Andrews Seamless Gutters, LLC installs two types of Heat Trace systems. One of the Heat Tape or Heat Trace system Bruce Andrews Seamless Gutters, LLC installs has a 10 yr. warranty, a built in thermostat and a 20 ft extension cord. The second Heat Tape system they install is a simpler version with a 1 yr. warranty, and will last through the coldest winters to help prevent damage to your home from ice dams. 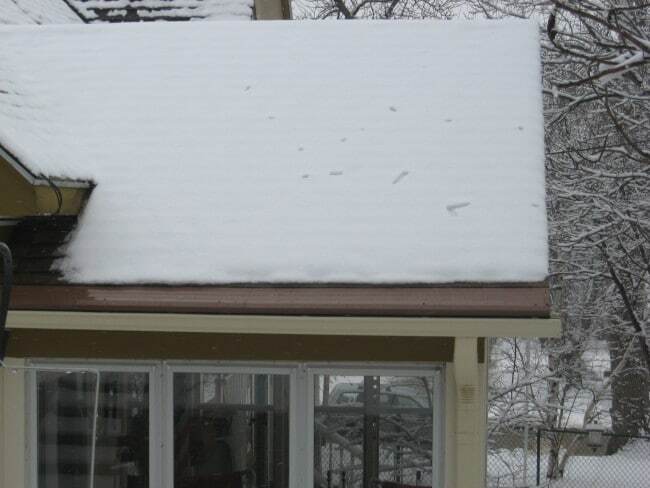 This installation of Heat Trace is lined across the roof to prevent the snow from sliding down to create a mess inside your gutter System. 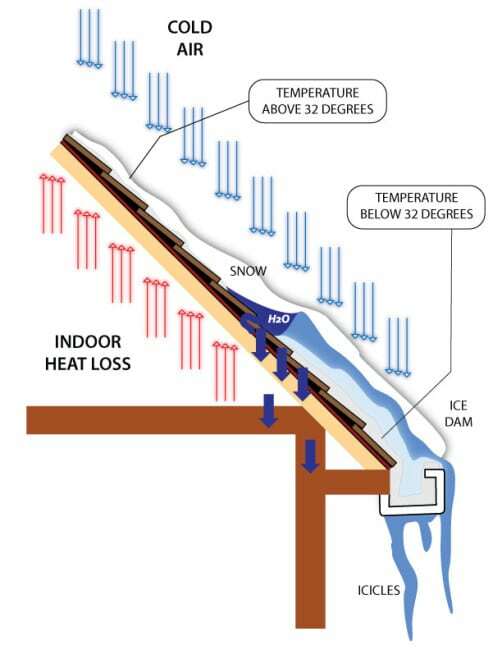 This picture depicts how Ice Dams are created due to Heat Loss from your roof. Most people find that ice dams are created by the gutter system. This is false, Ice dams are created by heat loss from the roof, poor ventilation from soffit and fascia, and not maintaining a clean roof from snow build up. With a professionally installed Seamless Gutter System with or without LeafLock Gutter Protection Heat Trace is essential for ice prevention and ice dams.